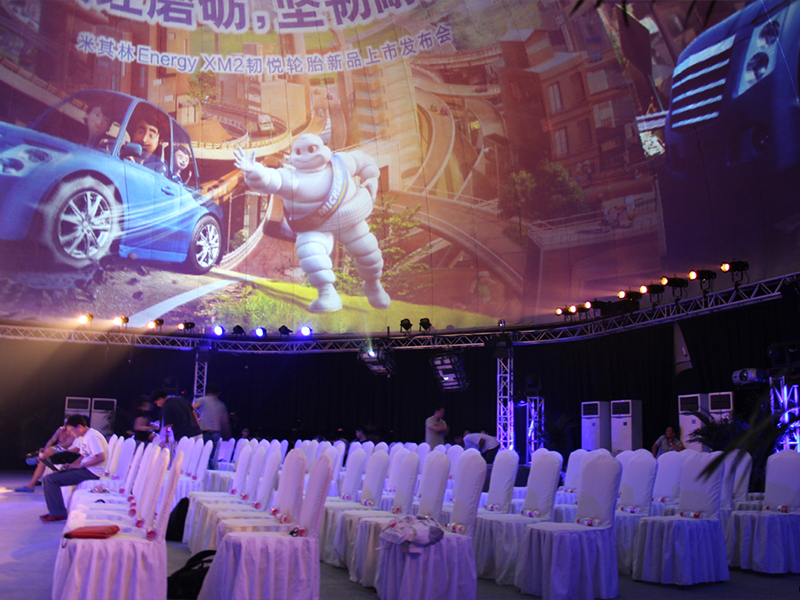 The 25m StratoSphere was used to great effect in Beijing, China, for Michelin's 3 day conference. the LM Productions team worked closely with Michelin's Advertising Agency to help them create a spectacular Full Dome show based on their current branding and advertising. By using the BlackOut Dome, we were able to play the main show footage as well as various corporate films throughout the day. The exterior was just as impressive, with a large, branded marquee surrounding the StratoSphere which served as various breakout rooms from the main venue. The outside of the StratoSphere was also branded with large Michelin graphics, completing the look of a unique and modern venue.